News and interviews focusing on the local arts scene, including music, art, theatre and cinema. 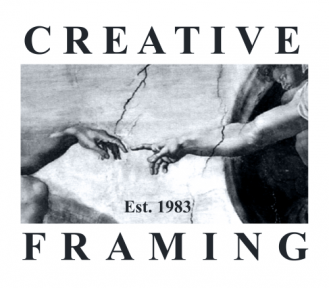 Established in 1983 Creative Framing has always been at the leading edge of art preservation and conservation framing. They are passionate experts in art conservation and restoration, professional canvas stretching and love large items and unusual challenges. Hanley (arr. Gemert): (Back Home Again in) Indiana. James Morrison, tpt., James Morrison Academy Jazz Orch/James Morrison. Sousa (arr. Rogers): Easter Monday on the White House Lawn. Royal Artillery Band/Keith Brion. : A Real Piano Player. Jimmy Durante, voc., Helen Traubel, voc., Unnamed Orch/Roy Bargy. Albeniz: Majorca, Op.202. Christoph Denoth, gtr. Berlin: Easter Parade. Judy Garland, voc., Fred Astaire, voc., Unnamed Orch. Bach (arr. Busoni): Chorale prelude, BWV 659, Nun komm' der Heiden Heiland. Vikingur Olafsson, pno. Harrison: Something. The James Valentine Quartet. Maroufi: Prelude No.3. Amir Farid, pno. Traditional (arr. Silvetti): La rondalla. Placido Domingo, ten., Mariachi Los Gavilanes. Coates: London Calling. Sydney SO/John Lanchbery. Bach: Cello suite No.3 in C, BWV1009. Zoe Knighton, vlc. Stravinsky: THe Chosen One The Rite of Spring. Ronald Farren-Price, pno., Rosslyn Farren-Price, pno. Bricusse: Pure Imagination. Hook Turn Orch. Monk (arr. Schroder): Straight, No Chaser. Schroder's Big Band. Evans: Clackety-Clack Bulgar. London Klezmer Quartet. Rieu: Fanfare. Andre Rieu Orchestra. Jenny Joseph: Warning (poem). Helena Bonham-Carter. Lehrer: Weinerschnitzel Waltz. Tom Lehrer, pno and vocals. Shostakovich: The Golden Age Suite, Op. 22a: IV. Dance - Allegro. Seattle SO / Gerard Scwarz. Mangore: Maxixa. John Williams, gtr. Prokofiev: Cinderella Suite No. 1, Op. 107: Cinderella's Waltz. Scottish National Orchestra / Neemi Jarve. Waller / Feather: You're Outta Here. Lorraine Feather vocals. Shocking Blue: Venus. Shocking Blue. Koch: Rumba Flamenca. Saffire: The Australian Guiter Quartet. Mboup: Pape Ndiaye. Orchestra Baobab. Dvorak: Driving Miss Daisy: Song to the Moon. Nicole Car, sop., Opera Australia Orch/Andrea Molino. Schubert (arr. Thilde): Ave Maria, D839, Op.52/6. David Drury, org., John Foster, tpt. Thomas: The Rising of the Sun. Sebastien Lipman, harp. Debussy (arr. Grigoryan): Reverie. Slava Grigoryan, gtr., Leonard Grigoryan, gtr. Gounod: Romeo and Juliet: Where am I? .. Is This Madness. Dame Joan Sutherland, sop., Rowland Jones, bar., BBC Midland Orch/Leo Wurmser. Skinner: The Bonnie Lass o' Bon Accord Set. Chris Duncan, fiddle, Julian Thompson, vlc., Catherine Strutt, pno. Mozart: Symphony No.27 in G, K.199: 1st mvt.. Australian CO/Richard Tognetti. Grainger: Blithe Bells. Jayson Gillham, pno. McFarland: Love is the only thing. Gianni Marinucci, tpt., Paul Williamson, sax., Craig Fermanis, gtr., Kim May, db., Danny Farrugia, drums, Tamara Kuldin, voc., Steve Paix, pno. Grainger: Rufford Park Poachers Lincolnshire Posy. Martin Jones, pno., Richard McMahon, pno. Westlake: Paper Planes, filmscore. Melbourne SO/Nigel Westlake. Massenet: Thais - Meditation. Leonard Dommett, vln., Melbourne SO/Sir Bernard Heinze. Vaughan Williams: O Clap your Hands. Jonathan Bradley, org., Trinity College Choir, Melbourne, Australian Chamber Brass Ensemble/Michael Leighton Jones. Obradors (arr. Power): The Bride Is Tiny. Slava Grigoryan, gtr., Southern Cross Soloists. Rodgers: The Lady is a Tramp. Phillip Sametz, voc., Mell-O-Tones/Phillip Sametz. Carmichael: Nocturne for Eve. Antony Gray, pno. Skinner: A Scottish Medley. Chris Duncan, fiddle, Julian Thompson, vlc., Catherine Strutt, pno. Copland: The Chariot Eight Poems of Emily Dickinson. Emma Matthews, sop., Melbourne SO/Benjamin Northey. Kelly: It is not dawn till you awake. Louise Page, sop., Alan Hicks, pno. Dvorak: Rusalka: Song to the Moon. Renee Fleming, sop., London SO/Sir Georg Solti. What’s on, what’s new and what’s worthwhile on the fine music scene in Melbourne. Local musicians and performances plus interviews and information.